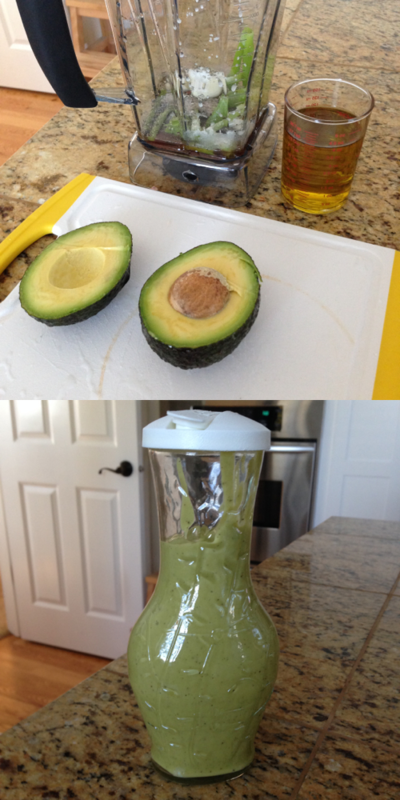 I adapted this recipe from the citrus version in Vitamix’s cookbook that was included in my box. This only takes a few minutes to make and holds well in the refrigerator. Add all the ingredients except the olive oil. Vitamix from 1 to 10, then on high for 30 seconds or until smooth. Reduce speed to 3 and remove the kid plug. Pour olive oil in a thin stream until emulsified. Refrigerate in airtight container. Bring to room temp and shake before serving.